Another THREE-PEAT (football & wrestling)! 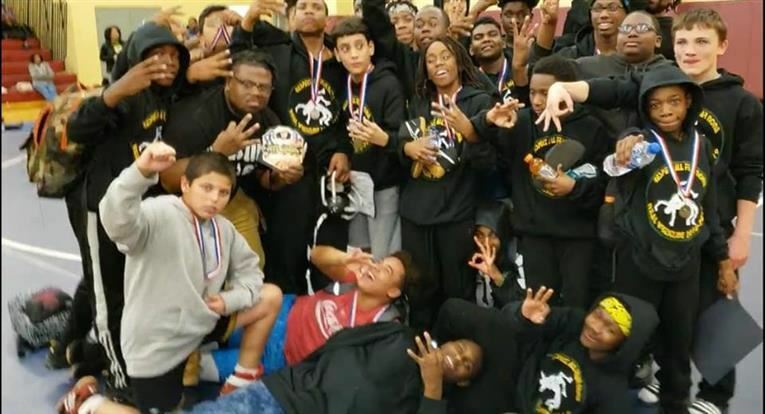 Neal’s wrestling team has won the Middle School Championship the past three years and show no signs of slowing down! Head Coach Taylor Barren, Coach Nathaniel Williams, and former Head Coach Dave Pyper are building a dynasty. They have touched the lives of so many young men and made a ton of individual champs along the way. 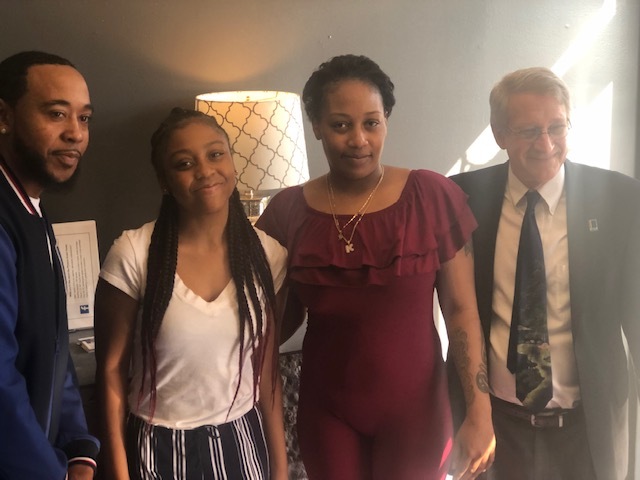 The staff and students at Neal Middle School are committed to creating and maintaining a safe and supportive environment for learning and growth. This anti-bullying artwork was part of a project in Neal's health classes. Click to see how we rise up against bullying! Happy Holidays from Mr. Rencher, Ms. McCall, Mr. Reavis, and their students! 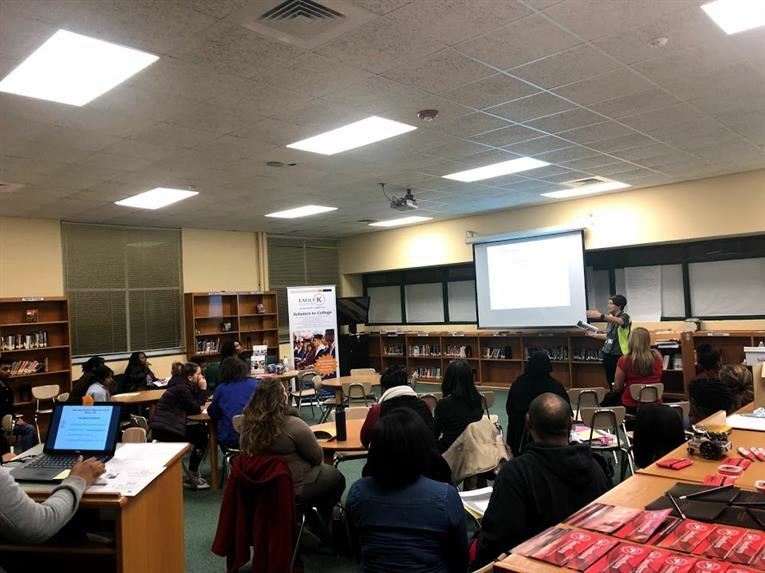 EO3 (Everyone Over 3) Night was December 6, 2018 and focused on preparing students for upcoming assessments and the transition to high school. 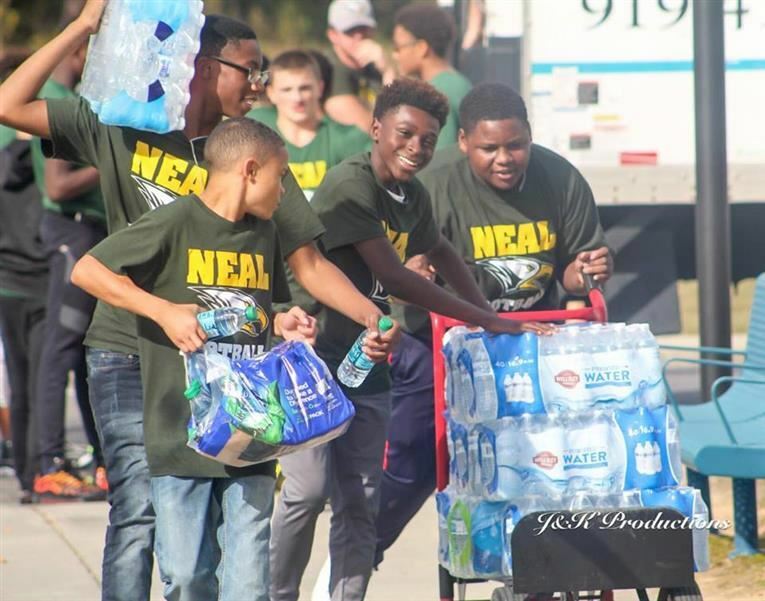 Neal Middle School recognized the impact that the hurricane had on many North Carolina communities. As a collective response, we united to launch our “Eagle To Eagle” Hurricane Relief Drive. We collected donations to support Carver Middle School and the surrounding community in Scotland County. Our drive will ran from October 1-26, 2018. 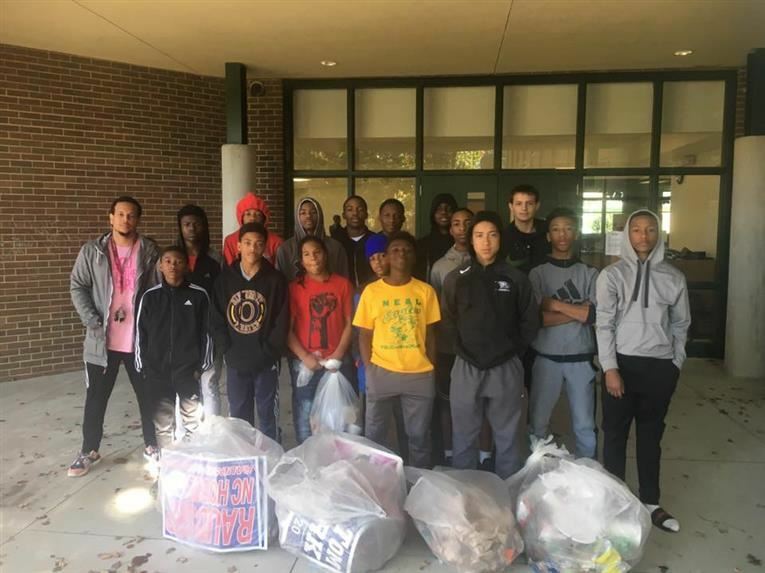 We collected canned goods, toiletries, bottled water, paper products, and school supplies at Neal Middle School and delivered the supplies to Carver Middle School. 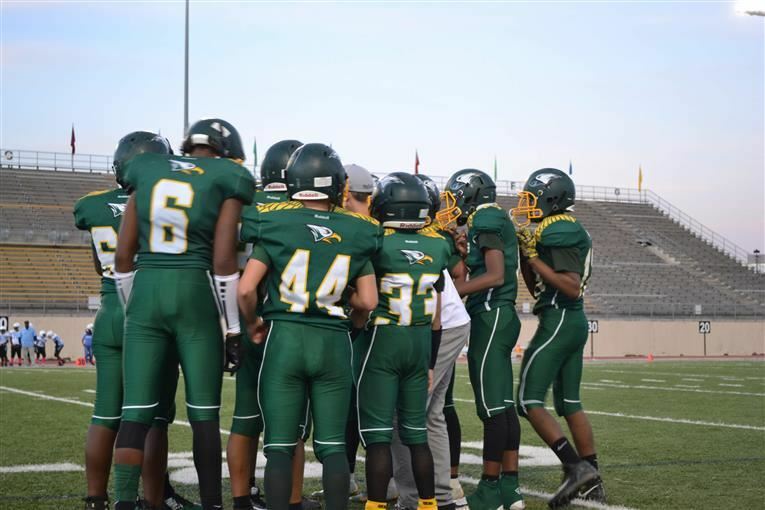 Eagles rise! Students in Miss Solesbee's Advanced Academics Elective class had an awesome time saving her from a zombie chicken attack with a Math Enrichment Breakout EDU lesson on Halloween! Students came in to find their teacher sick with a "zombie chicken virus," and had to answer challenging math problems about her condition to open lock boxes containing the ingredients to cure her! Miss Solesbee was so impressed by the way her students worked together as a team and utilized their awesome problem solving and math skills to save her life! 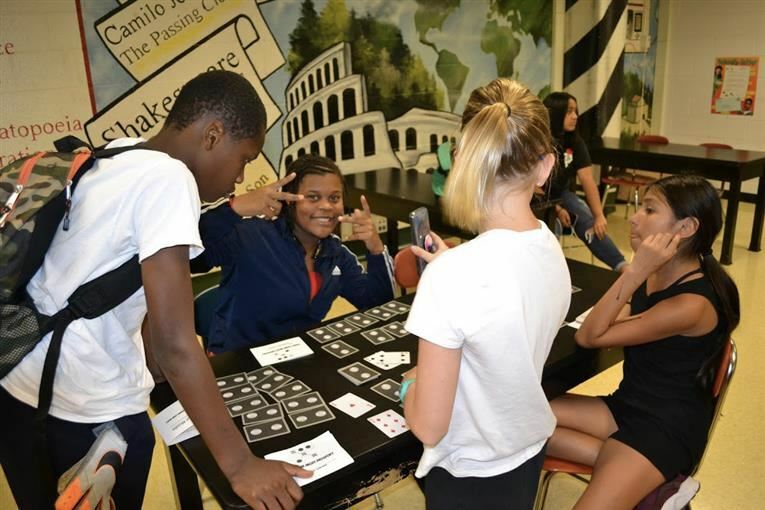 On Thursday, September 20, Neal Middle School hosted its first family and community night with Family Game Night. Students, parents, teachers, and community members gathered at Neal for games, food, fun, and prizes. 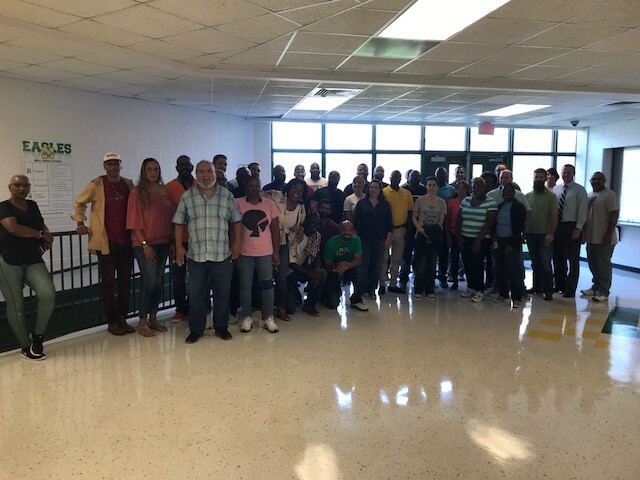 On August 14, volunteers from BioGen painted, cleaned, organized and worked together to make Neal a better and more aesthetically pleasing place for our kids and teachers. Neal’s RISE Summer Camp for rising 6th, 7th, and 8th grade students took place at Neal from July 9th to August 2nd. Our summer camp had a STEM/character/leadership focus as well as instruction in English-Language Arts and math. Students participated in STEM challenges and field trips!